Search My Ancestry: Romani Ancestors? Today I'm answering a reader's letter about possible gypsy ancestors for Who Do You Think You Are? magazine. You'll need to read the magazine in June to see my answer. 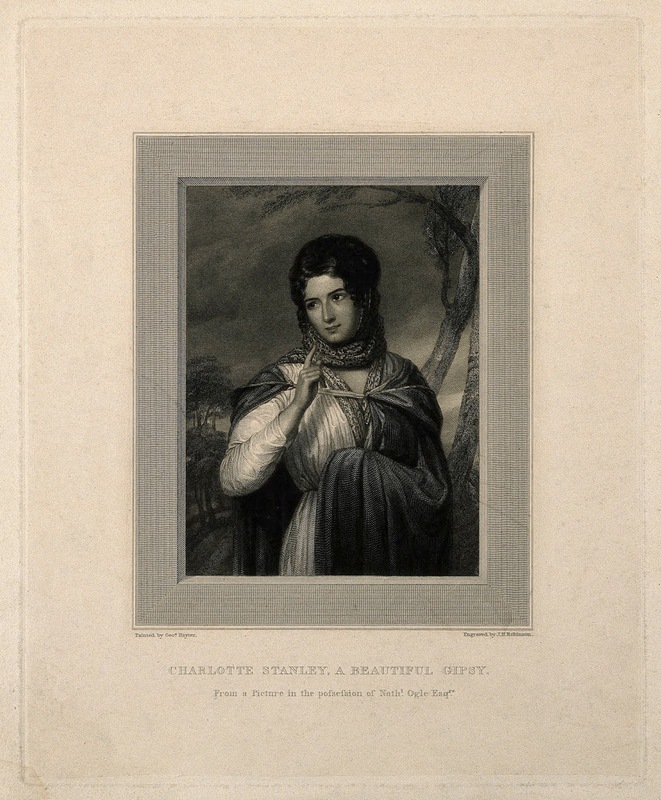 In the meantime, here is Charlotte Stanley - A Beautiful Gypsy. Line Engraving by J. H. Robinson (1852-1922) after Sir G. Hayter, Wellcome Collection.